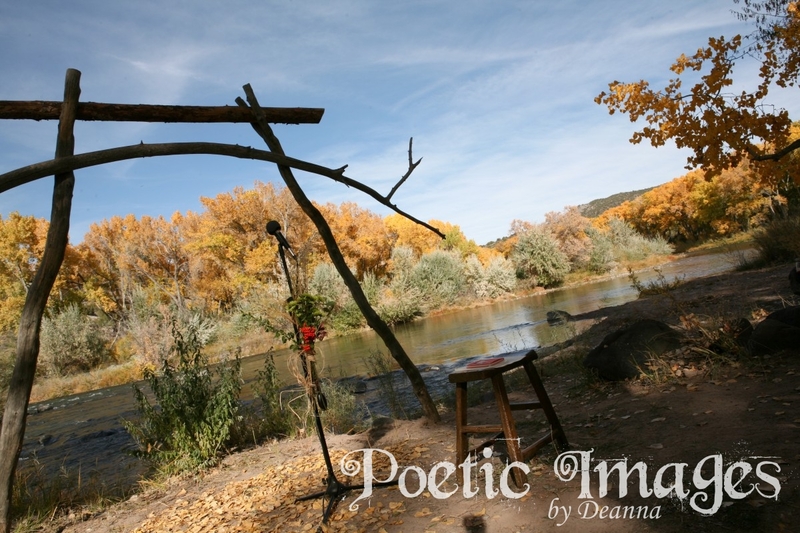 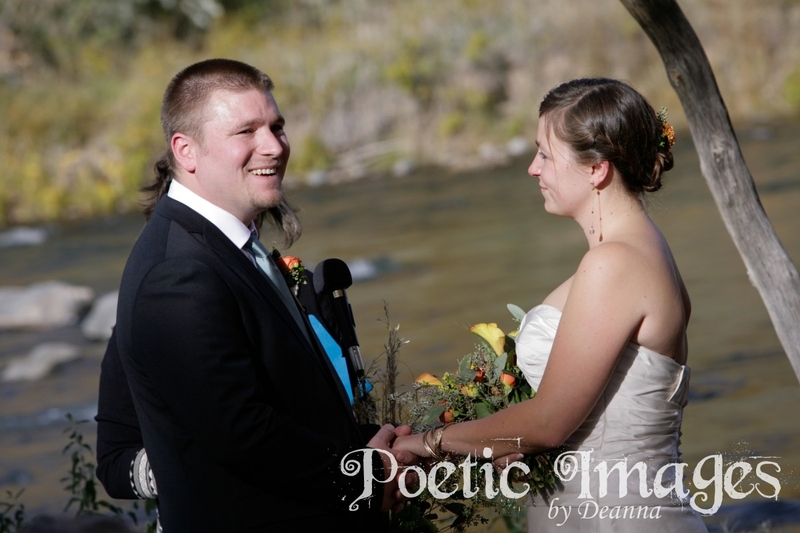 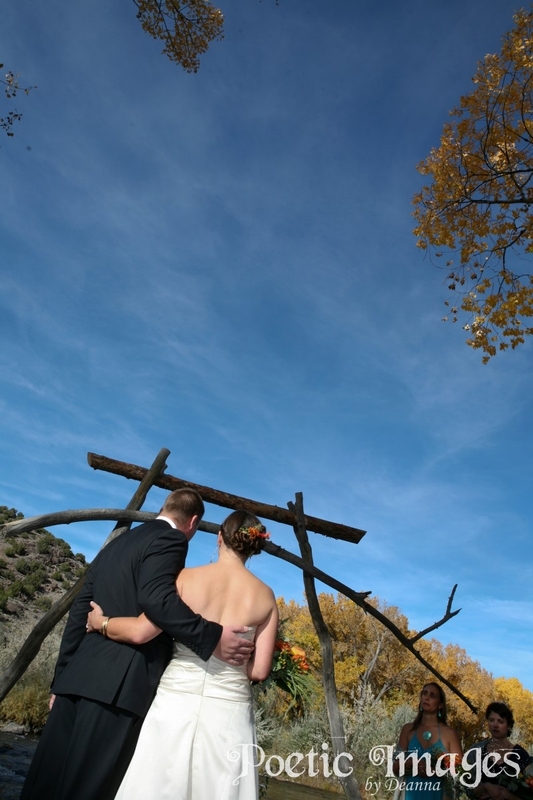 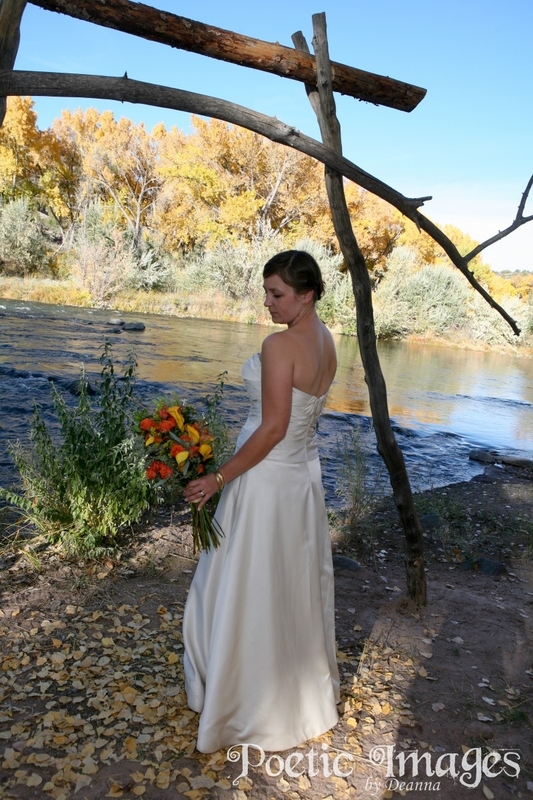 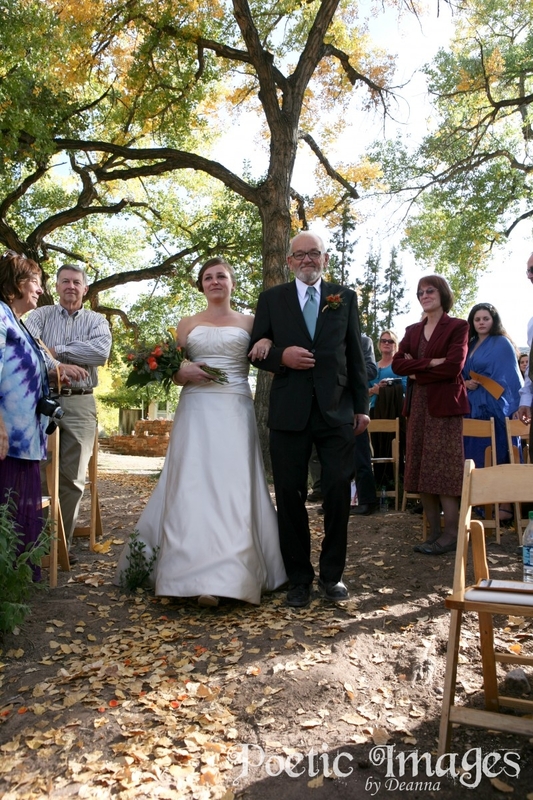 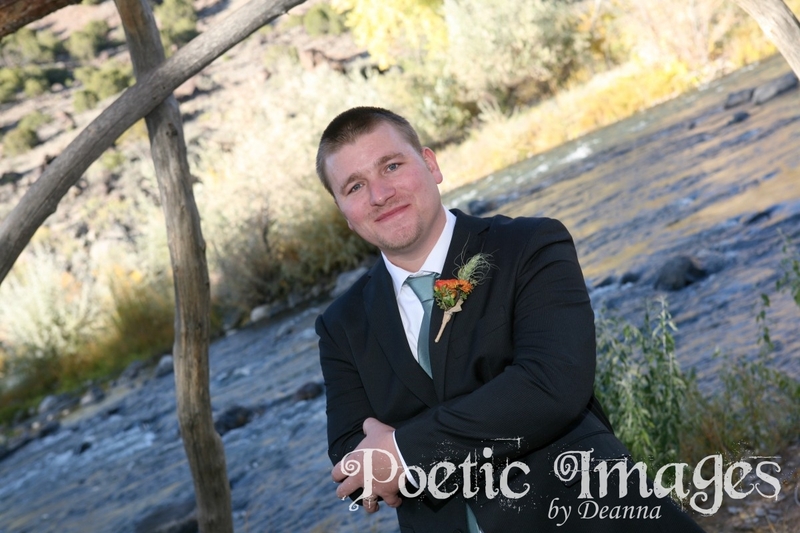 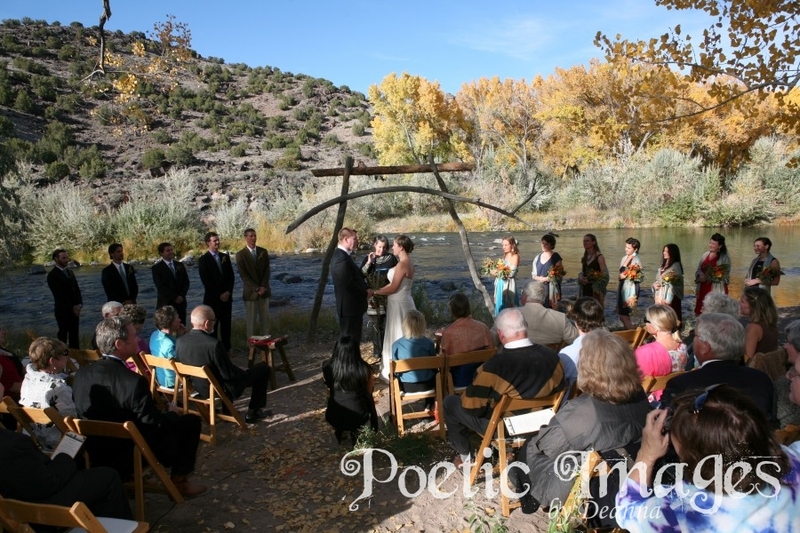 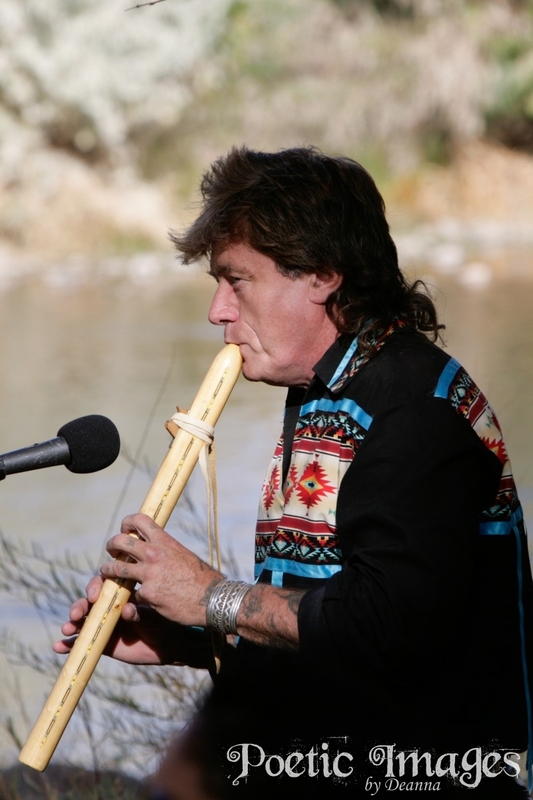 There is nothing like a beautiful New Mexico fall foliage wedding on the banks of the Rio Grande. 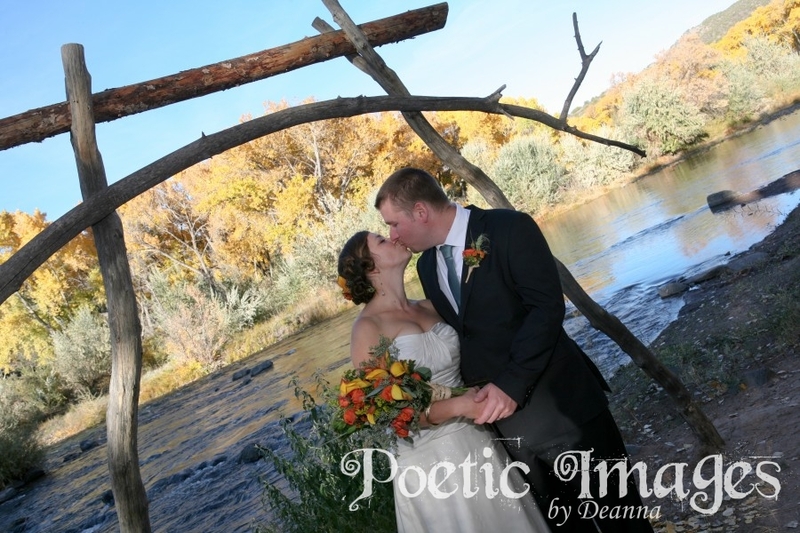 Rachel and Warren were married with a gorgeous backdrop of the river and lovely fall colors. 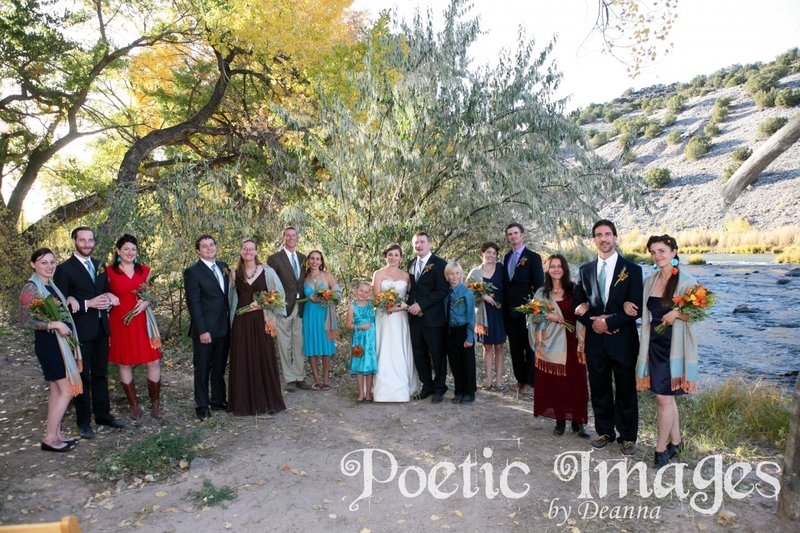 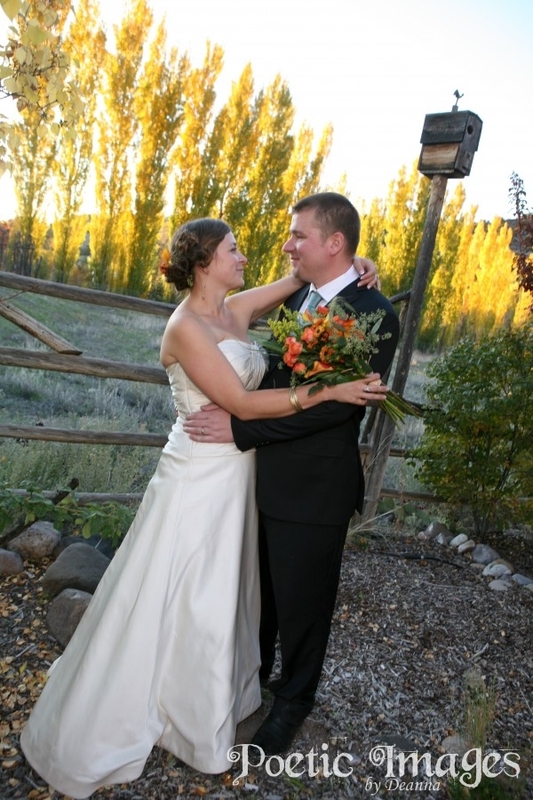 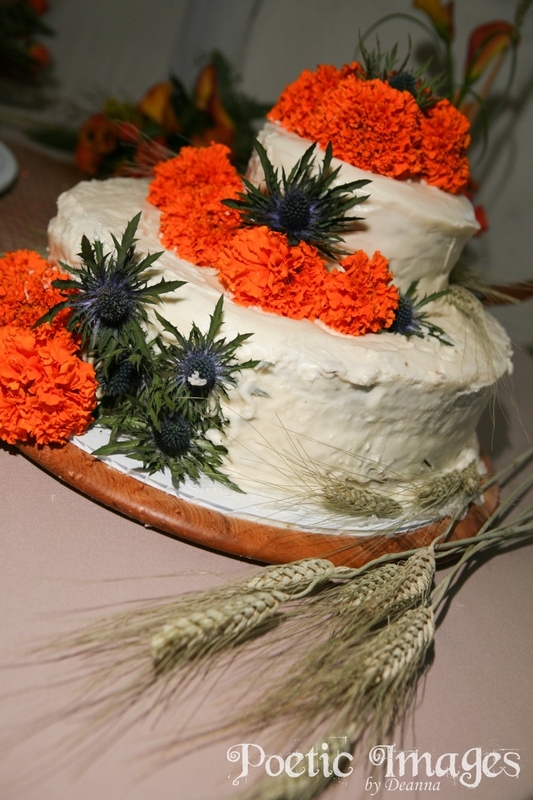 They adorned the property with pumpkins and created the aisle with golden aspen leaves.